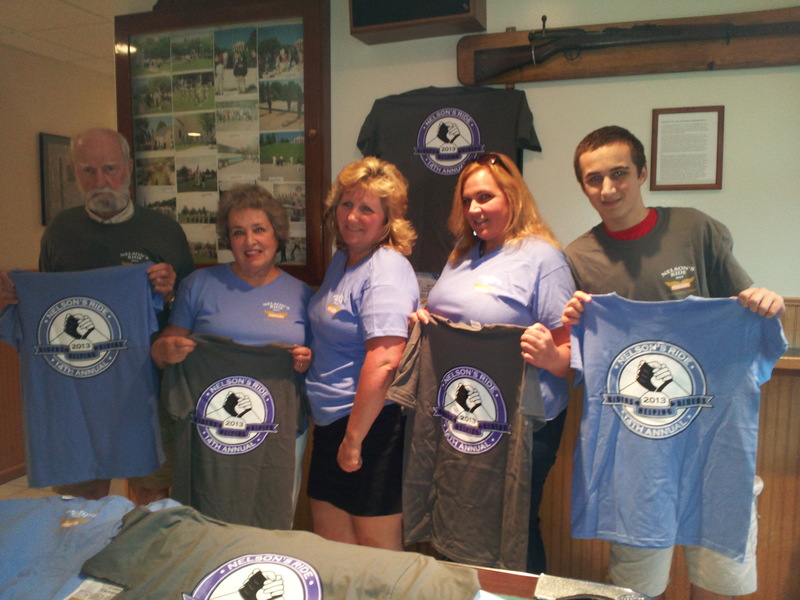 The 14th Annual Nelson’s Ride shirts were recently distributed to Nelson’s family members and are available on-line here. This entry was posted in Events, Supporters and tagged merch, nelson's ride, selig family, t-shirts on June 12, 2013 by mmsf. Last year’s 50/50 Raffle ‘winner’ from Woburn has agreed to be our official ‘puller’ for this year’s drawing, . . . and as of last night, the winner’s pool is up to $2,387.50 ! Drawing at the 14th annual “Nelson’s Ride” August 18th. $5 tickets available with local groups and on-line at RidersHelpingRiders.org – keep it growing – the winner could be YOU! Buy your tickets online here! This entry was posted in Raffle and tagged raffle, raffle update on June 11, 2013 by mmsf.